The Estonian government has received an offer over 12 K9 Thunder-type howitzers from the government of South Korea. The price is confidential and will only be published once an agreement is signed. The government of South Korea made the offer via its own defense procurements administration, and the price of the offer is confidential until an agreement has been signed, spokespeople for the Estonian Center for Defence Investment said on Monday. In addition, the offer includes an option for the purchase of eight to 12 more K9 howitzers. The agreement is expected to be signed in the first half of 2018. Priit Soosaar, head of the department of procurements at the Center for Defence Investment, said that in addition to specifiying the technical description of the howitzers, the offer is for minor adjustments to be made on the weapons, training of users and certification, as well as for spare parts and a service concept. The 12 howitzers offered have seen some use, though little. Their useful life in Estonia is planned to be at least 30 years. 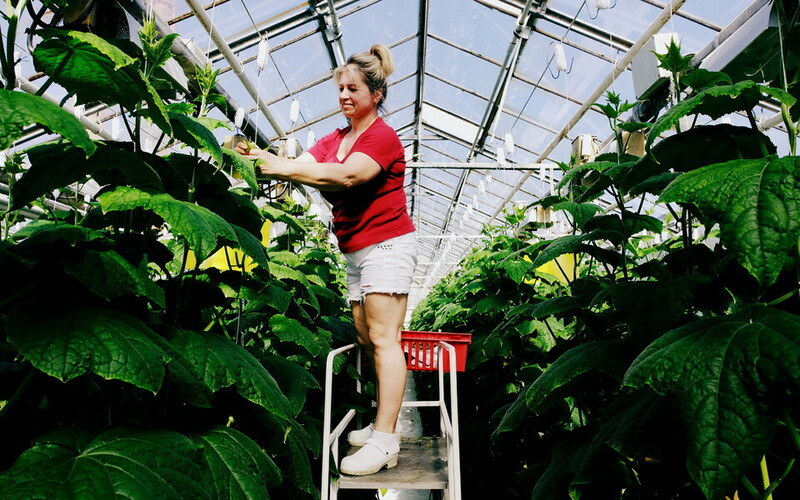 If the purchase is made, the first units are expected to arrive in Estonia in 2021, the last ones by 2026. By the time delivery begins, the support infrastructure needs to be ready, armored support vehicles bought, and training of the crews completed. 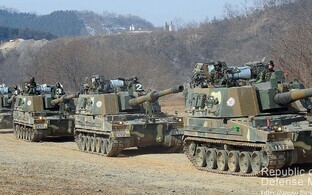 At the end of August last year the government submitted a request to South Korea to make a price offer for 12 K9 Thunder howitzers. The new hardware suffices to equip one artillery battalion of the Estonian Defence Forces (EDF). The request included an option for the purchase of 12 more similar howitzers to arm a second battalion. 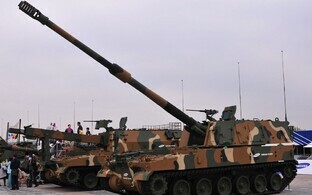 The K9 Thunder howitzer was developed by Samsung Techwin and is built in South Korea. The EDF want to acquire it to replace its current 155-mm towed howitzers. A K9 weighs 47 tons and has a maximum speed of 65 km/h. It has a firing range of 40 km. The K9 has proved itself robust and reliable enough in tests conducted in Norway and Finland, and has been designed with use by conscripts and reservists in mind. 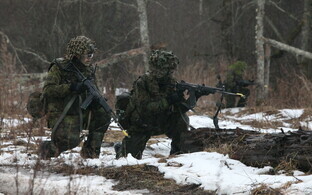 Estonia is planning to buy its K9s in collaboration with Finland. Norway has also announced its intention to buy K9s. 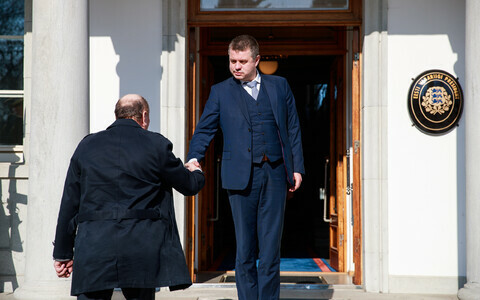 "Estonia had the possibility to tap into the in-depth preparatory work done by Finland," Soosaar said. 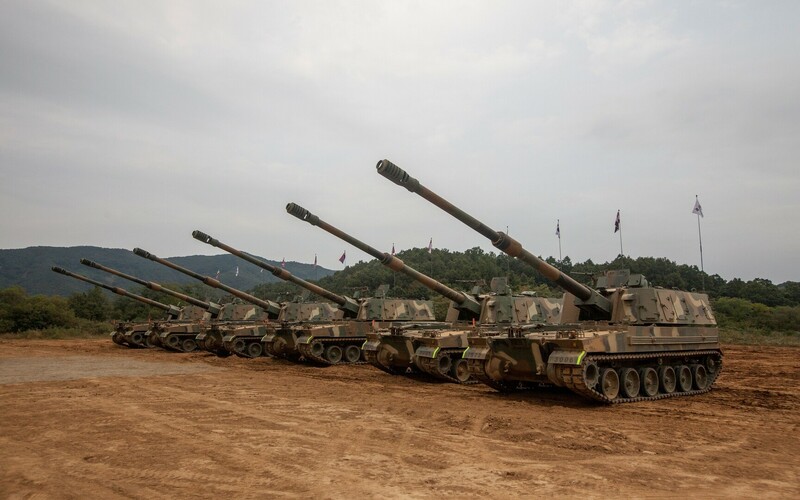 He added that the use of similar artillery by several countries in the region creates good possibilities for using each other's maintenance and training capabilities, and also makes the manufacturing and certification of ammunition for weapons easier that are used under similar conditions. The purchase of a self-propelled artillery system is part of the plan to develop Estonia's armored maneuvering capability. By 2019 the Scouts Battalion will have received 44 units of CV9035 infantry fighting vehicles, and a procurement is currently underway for a contract to convert 37 chassis of CV90 into support vehicles. Meanwhile the construction of infrastructure to support the development of armored maneuver capability continues at the Tapa base of the EDF.